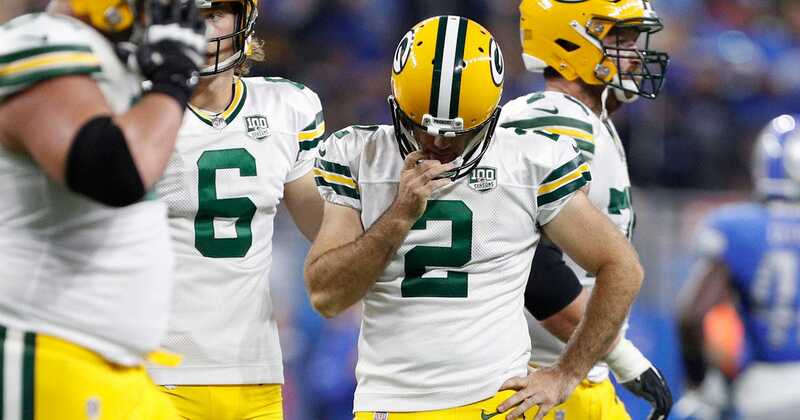 GREEN BAY, Wis. — Mason Crosby survived one of the worst seasons of his career by putting together five of his best. QB Aaron Rodgers was a full participant in practice after aggravating his injured left knee when tackled by Lions LB Christian Jones on the opening possession. “Kind of a step back to last week, the beginning of the week,” Rodgers said. He wore a new, lighter brace in that game and hopes he’ll be able to wear it again against the 49ers. … RT Bryan Bulaga (knee) and backup Jason Spriggs (ankle) were added to the injury report as limited participation. If Bulaga plays against San Francisco, he’ll line up next to RG Byron Bell, who has taken over that position for Justin McCray, who started the first three games. “Been consistent. He has a lot of experience,” coach Mike McCarthy said.